Products & Services – Quabbin Timber Inc.
Quabbin Timber, Inc. is a progressive company providing services to the wood products industry for over a quarter of a century. Quabbin Timber was incorporated in 1984 by Robert Chase Sr., a second generation lumberman with over 50 years experience. Bob’s sons Brian and Bob Jr. have carried the family tradition into the third generation. Our business has continued to grow through commitment to quality, reliability, service and honesty. The wide range of products in which we provide continues to be our strength. 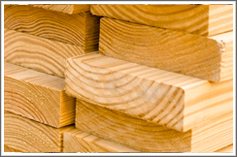 Some of these products include truckload or partial truckload quantities of hardwood and softwood lumber, stair parts, edge/face glued panels, squares and turnings, fully machined components, casket parts, timbers and framing for the log home industry.